Happy Finish is experienced in producing fashion 360° experiences, but post-production is currently limited in this format for producing crisp image details and colour accuracy. To achieve the high quality required for these fashion images, they developed a new technical approach to retain image quality across all stages of production. Mettle 360/VR Plugins in Adobe software were part of the production pipeline. 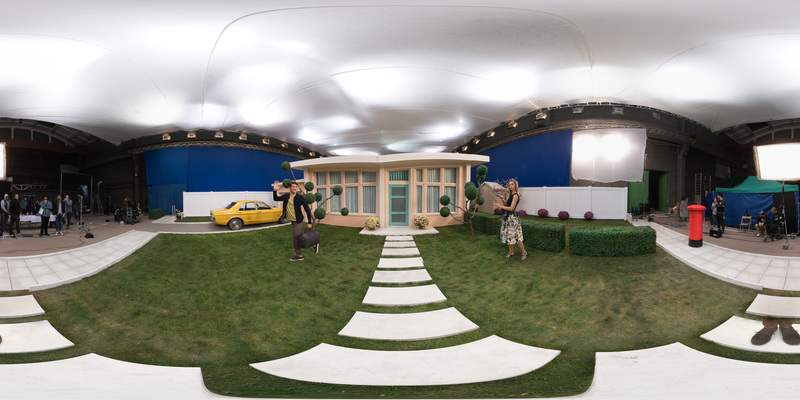 Ted Baker’s playful creative concept, based around a 50s-style sitcom, called for an interactive way for viewers to explore the Bakers’ home – all styled with Ted Baker’s clothing and home collections – to catch a glimpse of their suburban utopia, with scandals simmering below the surface. Working together with Wirewax, Happy Finish developed a 4K, 360° shoppable film for desktop, tablet and mobile viewers to be hosted on TedBaker.com, exclusive UK partner ASOS.com and exclusive partner for the Americas, Nordstrom.com. 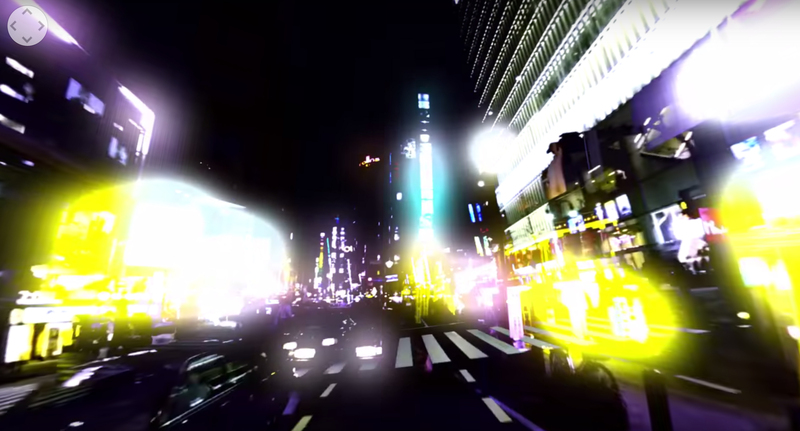 A 360° non-shoppable film was also created to view through Google Cardboard for a more immersive VR experience. How were mettle plugins used in your production? As the production’s creative was designed around a traditional film set our initial creative response involved adapting a 180° field of view to suit a 360° experience. While there were ways we could have done this in camera and on-set, the client favoured the loose idea of a “parallel universe”. 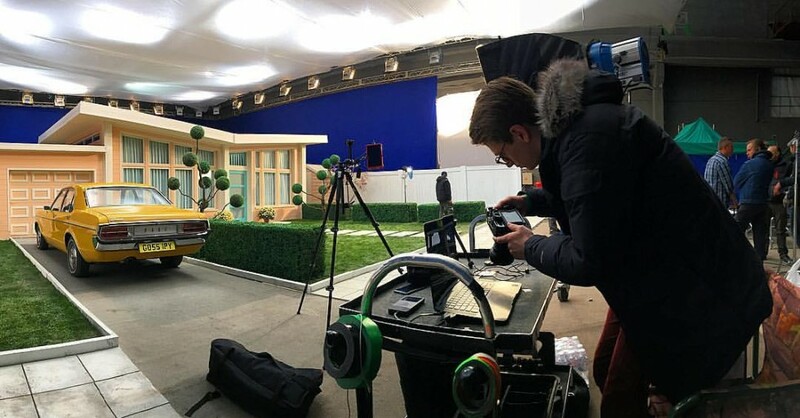 This involved shooting of 180° of the set, redressing it and then shooting it again; in post production the two halves of the sphere were then joined. 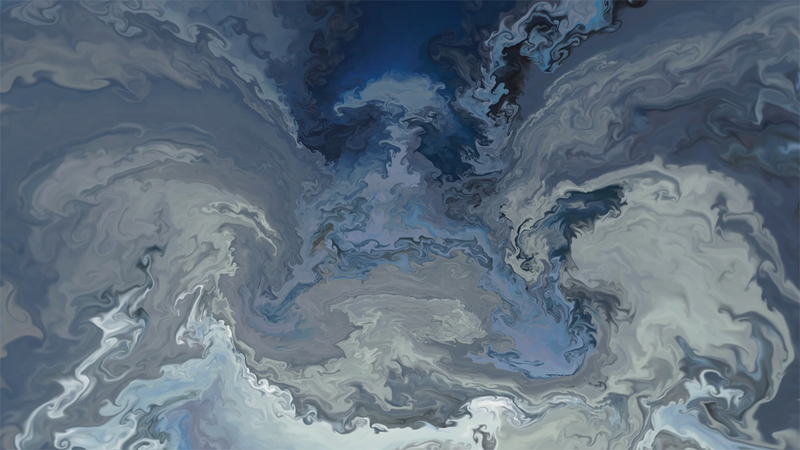 To do this we used Mettle Skybox Converter, utilising the ability to input Sphere-Maps and output Lat-Longs. Using a rather complex series of sub-comps, we were able to manipulate the input file(s) to output a two perfectly halved lat-longs combined into one image, all whilst making the most of the precise toolset offered by Adobe After Effects. We also utilised Skybox to create social assets such as little planets and all the motion graphics. This was done using a mix of Skybox Composer (V2) and Skybox Converter with a combination of cube mapping and lat-long 2D assets. What was your overall post workflow? What software did you use? At Happy Finish we tailor each post-production workflow to suit each production as, in our experience, there are never two the same. For this particular production we made the most of our in house teams across 360 production, VFX/Compositing and Image Retouching. 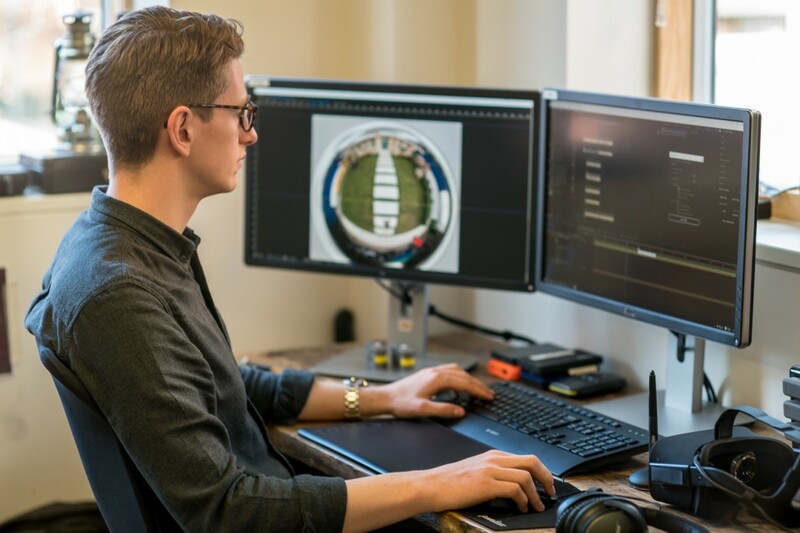 Footage was initially ingested by the 360° team where it was run through a series of custom pre-stitch workflows to optimise image quality before being stitched. From here plates were then handed to the Retouch Department where they were retouched and cleaned up. Some comping was also done at this stage such as the sky replacements from the studio blue screen. The edit was then put together and sent to the VFX team who employed some roto and compositing to synthesize the motion based 4K footage with the stills based backplate. Across the project a combination of the following software was used: AVP, Nuke, CC After Effects and CC Photoshop. What is your optimal hardware setup? We use a range of different in house built machines across our workflow. The majority of our work when using Mettle was done of a Dual Asus Strix GTX 1080 workstation with 64GB RAM, Water Cooled Intel 6800K, 1TB SSD, 4TB HD. This machine works off of a 100TB RAID over a 10gig network. What have you learned from your extensive experience in 360° that you could apply in this production? Our main learnings that we applied to this production were to combine as many skillsets as possible across all of our teams. We learned so much from applying a traditional retouch methodology to some of the early post-production through our stills team as they approached certain challenges from a fresh perspective. We also realised that being limited from the outset with creative can be a positive. Due to the 180° set design we were pushed to design a creative that resulted in more original results than perhaps we would have initially started out with. This coupled with always pushing the boundaries with capture and post R&D and never settling or a proven workflow, instead always wanting more from our technology. Any advice you can share to other 360 content creators? Share your work before it is published. By sharing our work internally, our retouch department raised points that undoubtedly influenced the final production – even if that was avoiding a particular workflow due to a 0.3 pixel gaussian blur!